With so many online programs available, it can be a chore to weed through all of the options. Finding the right university to earn your Master of Business Administration degree (MBA) from should be a strategic career choice. You are not only committing your time and money, you are also investing in your career. Making sure that you are getting a quality education from the best school is your top priority. You want to make sure that where you decide to earn your online MBA is from an accredited institution. Read more about FNU’s accreditation here. There might be some graduates who have completed their bachelor’s degree, and would like to further their education by enrolling into a master’s program. Getting a master’s degree offers the possibility of advancement as well as increased employment opportunities. Unfortunately, they might not have the resources for it. It is understood that college is expensive and most people might not think that they can afford it. Other obstacles such as time might factor in to the commitment level of college demands as well. Florida National University (FNU) has an exemplary list of online and on-campus, programs that offer you the flexibility to take courses in the comfort of your own home. These online programs also allow you to study during hours that are more convenient and work around your schedule. Master’s programs typically last for one year, but they are intense and require an significant amount of time and dedication. FNU believes that offering an MBA online gives prospective students the opportunity to broaden their education while still managing their existing priorities. FNU realizes that there are hundreds of masters programs to choose from. While many of these programs are so specific that it may limit your employment options, FNU has comprised a list of meritorious masters programs that will equip you to enter a profession with a wide array of possible job positions within its industry. FNU’s MBA program is among these. The MBA program that FNU offers is designed to give undergraduates the opportunity to further their studies on to a Master’s level. 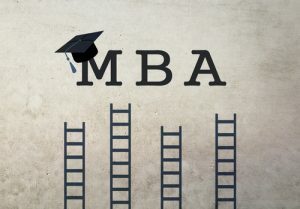 The MBA program equips students with the knowledge and experience that gives soon-to-be graduates the ability to be considered one of the top candidates for a professional opportunity. There are a total of 9 credits needed for each concentration. Each course within the concentration is worth three credits. One three-credit Capstone course, MAN 5869, must be taken with the Health Service Administration or Public Management & Leadership concentration, totaling 12 credit hours. A great benefit to taking FNU’s MBA program is that you’ll be able to complete it 100% online There are some colleges and universities that will allow students to take approximately 50% of their coursework online, but must take the other half of their courses on campus. This may work out to be a convenient program for some students, but we realize that there’s another percentage of prospective students who would prefer studying for their master’s degree 100% online. College is affordable for almost anyone who wants to apply. Students who are interested in receiving financial aid need to fill out the Free Application for Federal Student Aid (FAFSA) form here. The FAFSA usually take a few weeks to go through, so it’s recommended to complete this form during the enrollment process. The sooner you are able to handle your educational financial aid obligations, the quicker you’ll be able to register for classes and get started toward earning your master’s degree. Federal aid is not the only option for financial aid. FNU has a list of scholarships that students can apply for. While federal financial aid requires you to pay back your school loan over a period of time with interest, scholarships are gifted to students. That means that recipients of these awards do not have to pay back the money awarded to them. For a full list of scholarship and grants, visit FNU’s Financial Opportunities page here. Depending on your prior professional education, FNU might be able to transfer some of your credits into your master’s program. Of course, each applicant’s situation varies, but we are willing to seriously consider coursework from another accredited institution, or military training that might apply to your masters program with FNU. If you are currently employed, it might be worth asking your employer if they offer a tuition reimbursement incentive program. Most employers offer to pay for a percentage of their employee’s tuition based on the grade they acquire each semester. In order to qualify for this, workers must be employed for at least one year. It is highly recommended to check with your Human Resource Department to get the details as each employer’s education incentive plan may vary. FNU is dedicated to providing a quality education to students. Our goal is to help prospective students earn their MBA whether it is on campus, virtual or 100% online. We also make it a priority to make our courses affordable. For information about FNU’s tuition incentives, visit our webpage here. If you are interested in earning your MBA degree with FNU online, contact one of our admissions representatives today.